Tune into your favourite station with the printed Ruston Radio Deluxe. 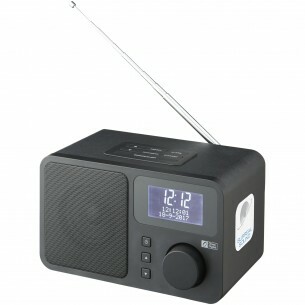 This portable DAB radio provides text information on the screen and has 10 DAB and FM station presets. It also has an auto-channel scan feature to find stations faster, and you can use the FM tuner too. This would be perfect for anyone who wants to listen to high-quality radio wherever they are, and it comes packed in an attractive gift box.